Will Emmanuel Macron Be Able to Run France If He Wins the Presidency? PARIS—Political novice Emmanuel Macron is widely expected to win the French presidency on May 7, but he will need a big victory in yet another crucial round of elections to become more than a mere figurehead. For Mr. Macron to be able to implement his policies if he defeats far-right leader Marine Le Pen in the runoff, his upstart movement will have to secure a parliamentary majority in June. 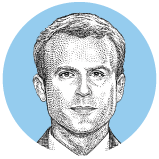 Turning En Marche, or “On the Move,” the party that Mr. Macron founded barely a year ago, into a political machine will be a tall order for the 39 year-old former investment banker, who on Sunday won the first round of the presidential contest with 24% of the vote. So far, Mr. Macron, who is running for office for the first time, hasn’t named anyone who would join his administration, and has announced only a handful of the candidates who will run under his colors for the 577 seats in the two-round legislative vote scheduled June 11 and 18. Without a majority, French presidents have historically been smacked by a constitutional punishment known here as “cohabitation”—a form of power-sharing under which a prime minister from the opposition runs the government, effectively squeezing the head of state into a ceremonial role. The presidential and legislative elections have different dynamics, warned Famke Krumbmüller, analyst at political risk consultancy OpenCitiz. She said having Mr. Macron’s stamp of approval may not be enough for En Marche candidates to unseat rivals in constituencies where voters enjoy cultivating a direct bond with their elected officials. “The question is whether they will be able to win against rivals with local bases, even if those rivals’ parties got smashed in the presidential vote,” Ms. Krumbmüller said. Mr. Macron is expected to win the May 7 runoff against Ms. Le Pen with 61% of the vote, according to a survey conducted by the OpinionWay polling agency during and after Sunday’s first round. If she prevailed in the runoff, Ms. Le Pen would face a different set of obstacles. 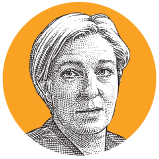 Unlike Mr. Macron, she can rely on a nationwide and disciplined apparatus, as well as on the National Front’s deep-rooted local bases. But her performance in the first round of the presidential election—she garnered 21.3% of the vote, up from 17.9% in 2012—suggests she has yet to broaden the party’s mainstream appeal. 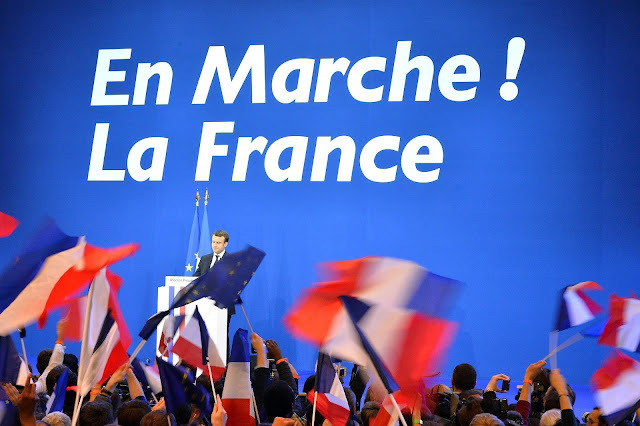 That is necessary to succeed in the two-round voting system introduced by Charles de Gaulle upon fathering the Fifth Republic, a new constitution designed to squeeze political majorities out of France’s fractured postwar landscape. In recent years, left and right mainstream parties have often coalesced in second-round votes to block the National Front, saying its history of xenophobia made it unfit to govern. The party currently holds only two seats out of 577 in the National Assembly, France’s lower house of parliament. The outcome of the legislative election will provide a measure of French voters’ repulsion toward the socialist and conservative parties that have alternated to govern France in the past four decades. On Sunday, both Benoît Hamon of the ruling Socialist Party, and François Fillon of the conservative Les Républicains, were ejected from the presidential race, garnering 6.4% and 20%, respectively. Despite the humiliating blow, leaders of Les Républicains vowed to quickly regroup, conquer a majority in parliament, and impose a “cohabitation” on Mr. Macron. Socialist Party officials sought to display similar fighting spirit, saying they would line up candidates in all the constituencies against Mr. Macron’s recruits. Michel Rombaut, a volunteer in Mr. Hamon’s campaign and a Socialist for nearly 40 years, said Mr. Macron’s candidates should expect fierce resistance. Even if she lost to Mr. Macron, supporters of Ms. Le Pen expressed hope she would have a strong shot at becoming the leading face of the opposition by feeding off the leadership disarray besetting the Socialists and Les Républicains. “It’s incredible, but the two parties that have dominated the Fifth Republic are out,” said Philippe Murer, an adviser to Ms. Le Pen. 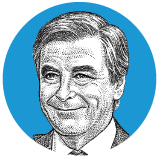 On Monday, Mr. Fillon stepped back from the coming legislative battle, telling troops at Les Républicains that he no longer had the “legitimacy” to fight with them. During the campaign, Mr. Macron has said he was confident in his capacity to build a parliamentary majority. He has been looking to recruit candidates from outside the political arena and pledged to enforce strict gender parity when naming them. 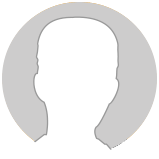 —Nick Kostov contributed to this article. French voters headed to the polls on Sunday in the first round of France’s presidential election. We have spent a lot of time analyzing the rise of nationalist and populist politicians, but less time examining the demise of the “left.” We start off by putting this term in quotation marks because it is unclear what the left stands for anymore. The term originally comes from the French Revolution. Members of the Third Estate—people outside of the clergy and nobility—met at a tennis court in 1789 because their regular meeting hall was closed. Those who wanted to create a democratic republic sat on the left side of the court, and this is how the term "left wing" emerged. As liberal democratic nation-states rose across Europe, the left had to transform itself, and the growing needs of the urban working class provided the opportunity. The Industrial Revolution led to urbanization, and the left became the champion of the poor and the working class. But over the last few decades, this general definition of the left has lost its value. Along the way, a split developed within the left between the ideology of its elites and the needs of its rank-and-file members. We saw this play out most recently in last year’s US presidential election. Democratic nominee Hillary Clinton was not in touch with the working and middle classes that had been the Democratic Party’s base since Franklin D. Roosevelt. Clinton was a technocrat who was paid substantial amounts to give speeches at Goldman Sachs. She was unable to hide her disdain for what she saw as the provincial views of middle-class voters who ended up supporting Donald Trump. She also failed to visit key battleground states like Wisconsin. Clinton won the nomination because Democratic Party elites believed it was more important to elect the first female president of the US than to convince working-class Americans that the Democrats were still their party. Since Trump became president, the opposition has been fragmented at best. The strongest voice in the Democratic Party isn’t even a registered Democrat. Sen. Bernie Sanders is a socialist and registered Independent who wants to remake the US in the image of Sweden. In the French election, of the top two candidates who can make some claim to being on the left, one is a former banker and empty suit who has never served in public office but claims the mantle of progressivism. 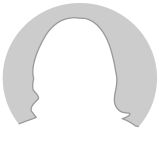 The other is a former Trotskyite and socialist who has garnered attention by delivering speeches through holograms. In Great Britain, the biggest challenger for Prime Minister Theresa May—who called for a snap election last week—is Jeremy Corbyn. He is a socialist who became the Labour Party leader by accident. The US case is different from the British case, which is different from the French case. But the left in each of these examples shares one thing in common. The political leaders of the major left-wing parties became enamored by a kind of cosmopolitan and utopian messianism that emphasized internationalism over national interests. They became less concerned with representing working- and middle-class voters who were the source of their power in the first place. At best, the left’s policies did little to help these voters. At worst, some of these policies hurt working- and middle-class voters who formed the left’s electoral base. The elites continued to romanticize the average working-class voter, but this was accompanied by practical indifference. In the US, it was Democratic presidents who signed NAFTA and pushed for the Trans-Pacific Partnership. Trade deals have pros and cons, but the working class bore the brunt of the damage these deals caused. In the UK, it was the Conservative Party that brought Great Britain into the European Economic Community in 1973; Labour opposed it. When it came to Brexit, Labour veered in the opposite direction. Corbyn, despite having ambiguous feelings about the EU at best, came out in favor of remaining in the EU. He has also called himself “relaxed” about increased migration to the UK. But the British middle class was enraged at being lectured by Germany about refugees, and this issue led the Brexit campaign to take off. This is one example of how the left is out of touch with its old constituents. The fallout from the 2008 financial crisis affected political elites on both sides of the aisle. The people who experienced the worst of 2008 came to see that establishment political figures did not care about their struggles. Technocratic expertise did little to avert the crisis and perhaps exacerbated it. This hollowing out of confidence in establishment candidates presented an opportunity for previously fringe ideas and parties. The National Front, for example, has existed in France for decades, but it has become normalized in French politics. The party has gotten to this point by stepping into the breach created by the left’s failures. It aims to be the party of the average Frenchman and the working-class factory worker who has lost his job and has no prospects for the future. The political parties enjoying the most success currently are those that espouse some combination of nationalism, populism, and economic protectionism. It is debatable whether policies based on these “isms” will cure the underlying disease, but that is not the point. Parties like the National Front and the UK Independence Party (which had limited electoral success but championed Brexit from the start), as well as leaders like Trump, have clearly defined their ideology, their constituents, and the policies they think will benefit the working and middle classes. The old parties of the left have failed to grasp that this ideology appeals to their constituents as well. The average working- or middle-class worker in Europe may not necessarily be hostile to the European Union, but that worker also is not passionately dedicated to the European project, especially when the economic benefits are unclear at best. The result is that the left’s proposals are unconvincing for working- and middle-class voters. 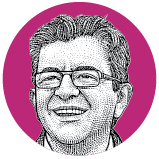 The far-left candidate in France, Jean-Luc Mélenchon, has a résumé that makes him as ideologically opposed to capitalism as one can get. But when you scrutinize his economic policies, they are not so different from Le Pen’s. He wants to boost public spending and is willing to lead France out of the EU if France cannot secure better terms with the bloc. In the UK, Labour has been trying to transform Corbyn into a firebrand left-wing populist, but it has had limited success. YouGov polls show that the Conservatives’ support is around 50%. In the US, the Democrats continue to split their time between alleging Russia threw the election in Trump’s favor and raging at the injustice of his victory. They are still behaving as the party of “Not Trump” rather than trying to regain their position as the party of the working class. The only voices being clearly heard now are those of Le Pen, Trump, and others who advocate similar policies. The other voices are a cacophony, unsure of the best course of action. Some are unwilling to compromise on moral issues like internationalism and accepting refugees, in part because they are not the ones who experience the negative effects of maintaining a moral high ground on these issues. The voices on the left that have emerged most clearly advocate much the same as the populists but prefer to worship at the altar of Marx instead of the nation. The middle and working classes are desperately searching for a champion. The problem for the left is that it has forgotten how to fight. The liberal elites are ashamed of nationalism but offer no alternative. So on and on they continue spinning, searching in vain for the supporters they lost. But those supporters have already given up and are begrudgingly casting their lots with the only real game in town. Similar considerations fueled the launch, nearly 50 years ago, of the International Monetary Fund’s Special Drawing Right as the precursor to a global currency. And with renewed interest in the stability of the international monetary system, some are asking – including within the IMF – whether revamping the SDR could be part of an effective effort to re-energize multilateralism. The original impetus for the SDR included concerns about a national currency’s ability to reconcile the need for global liquidity provision with confidence in its role as the world’s reserve currency – what economists call the “Triffin dilemma.” By creating an international currency that would be managed by the IMF, member countries sought to underpin and enhance the international monetary system with a non-national official reserve asset. Legal and practical factors, as well as some countries’ political resistance to delegating economic governance to multilateral institutions, have prevented the SDR from meeting its creators’ modest expectations, let alone the grand role of a truly global reserve currency that anchors the cooperative functioning of a growth-oriented global economy. Information and other market failures have added to the challenges, as have weak institutional infrastructure and inadequate branding. The result is a substantial gap between the SDR’s potential and its performance. That gap has meant missed opportunities for the global economy – particularly in terms of asset-liability management, responsive liquidity, adjustment between deficit and surplus countries – and thus a gap between actual and potential growth. With the SDR providing a stronger glue at the international monetary system’s core, prudential currency diversification could have been made easier, the need for costly and inefficient self-insurance could have been reduced, and the provision of liquidity could have been made less pro-cyclical. So, do today’s anti-globalization winds – caused in part by poor global policy coordination in the context of too many years of low and insufficiently inclusive growth – create scope for enhancing the SDR’s role and potential contributions? Addressing this question, were it to gain traction, would involve a focus on an ecosystem of SDR use, with the composite currency – which last year added the Chinese renminbi to the British pound, euro, Japanese yen, and US dollar – potentially benefiting from a virtuous cycle. Specifically, the SDR’s three roles – an official reserve asset, a currency used more broadly in financial activity, and a numeraire – could ensure greater official liquidity, expand the range of new assets used around the world in public and private transactions, and boost its use as a unit of account. Of course, given the advanced economies’ embrace of more inward-looking, populist, and nationalist politics, a “big bang” approach to reinvigorating the SDR is highly unlikely. Even an incremental approach, starting with practical low-hanging fruit that does not require amendments to the IMF’s Articles of Agreement, would face political challenges. But it would be worth considering. Areas of focus would include using the SDR for some bond issuance and trade transactions, developing market infrastructure (including payments and settlement mechanisms), improving valuation methodologies, and gradually developing a yield curve for SDR-denominated loans and bonds. This would also help to leverage the inter-connectedness of the SDR’s roles, in order to reach critical mass quickly and have a foundation for further incremental gains. For the effort to succeed, the IMF’s approach would need to evolve – just like it did on country-specific issues. When I joined the IMF in the early 1980s, discussions with non-government counterparts, whether on country or policy work, were discouraged. The situation today is very different. Broader national engagement – with NGOs, local media, and a broad set of politicians – is now viewed as an integral part of effective country advice and program implementation, as well as being essential for the Fund’s “surveillance” function under its Article of Agreements. A similar pivot is needed if the IMF is to deliver better on the supra-national issues that are now migrating up its policy agenda. Specifically, the Fund would need to complement its traditional core constituency of governments and other multilateral institutions (particularly the World Bank) with systemically influential sub-national and private counterparts. The resulting public-private partnerships would enhance issuance, the development of market infrastructure, and liquidity provision for the SDR. While it is not easy to combine developmental and commercial activities, the implications for global growth and stability of not doing so suggest that it is an effort that should be explored. Moreover, the IMF could start small, focusing on interactions with other official multilateral and regional institutions, sovereign wealth funds, and multinational financial companies – all anchored by an active coalition of the willing among the G20. In an ideal world, the SDR would have evolved into more of a reserve currency during the era of accelerated trade and financial globalization. In the world as it is today, the international monetary system faces two options: fragmentation, with all the risks and opportunity costs that this implies, or an incremental approach to bolstering the global economy’s resilience and potential growth, based on bottom-up partnerships that facilitate systemic progress. Gold has been characterized as insurance, a hedge against inflation/social unrest/instability, or, more simply, just a commodity. But it is treated most of the time, by most people, as an investment. When gold is analyzed as an investment, it gets compared to all kinds of other investments. And then the technicians start looking for correlations. Some say that an 'investment' in gold is correlated inversely to stocks. But there have been periods of time when both stocks and gold went up or down simultaneously. One of the commonly voiced 'negative' characteristics about gold is that it does not pay dividends. This is often cited by financial advisors and investors as a reason not to own gold. 1) Growth stocks don't pay dividends. When was the last time your broker advised you to stay away from any stock because it didn't pay a dividend. 2) A dividend is NOT extra income. It is a fractional liquidation and payout of a portion of the value of your stock based on the specific price at the time. The price of your stock is then adjusted downwards by the exact amount of your dividend. 3) If you need income, you can sell some of your gold periodically, or your stock shares. In either case, the procedure is called 'systematic withdrawals'. The (il)logic continues... "Since gold doesn't pay interest or dividends, it struggles to compete with other investments that do." In essence, higher interest rates lead to lower gold prices. And inversely, lower interest rates correlate to higher gold prices. The above statement, or some variation of it, shows up daily (almost) in the financial press. This includes respected publications like the Wall Street Journal. Since the US elections last November, it has appeared in some contextÂ or other multiple times. The statement - and any variation of it that implies a correlation between gold and interest rates - is false. There is no correlation (inversely or otherwise) between gold and interest rates. We know that if interest rates are rising, then bond prices are declining. So another way of saying that gold will suffer as interest rates rise is that as bond prices decline, so will gold. In other words, gold and bond prices are positively correlated; gold and interest rates are inversely correlated. Except that all during the 1970's - when interest rates were rising rapidly and bond prices were declining - gold went from $42 per ounce to $850 per ounce in 1980. This is exactly the opposite of what we might expect according to the correlation theory cited earlier and written about often by those who are supposed to know. During 2000-11 gold increased from $260 per ounce to a high of $1900 per ounce while interest rates declined from historically low levels to even lower levels. Two separate decades of considerably higher gold prices which contradict each other when viewed according to interest rate correlation theory. And the conflictions continue when we see what happened after gold peaked in each case. Interest rates continued upwards for several years after gold peaked in 1980. And interest rates have continued their long-term decline, and have even breached negative integers recently, six years after gold peaked in 2011. People also talk about gold the way they talk about stocks and other investments... "Are you bullish or bearish?" "Gold will explode higher if/when..." "Gold collapsed today as..." "If things are so bad, why isn't gold reacting?" "Gold is marking time, consolidating its recent gains..." "We are fully invested in gold." When gold is characterized as an investment, the incorrect assumption leads to unexpected results regardless of the logic. If the basic premise is incorrect, even the best, most technically perfect logic will not lead to results that are consistent. And, invariably, the expectations (unrealistic though they may be) associated with gold, as with everything else today, are incessantly short-term. "Don't confuse me with the facts, man. Just tell me how soon I can double my money." People want to own things because they expect/want the price of those things to go up. That is reasonable. But the higher prices for stocks that we expect, or have seen in the past, represent valuations of an increased amount of goods and services and productive contributions to quality of life in general. And that takes time. Time is of the essence for most of us. And it seems to overshadow everything else to an ever greater degree. We don't take the time to understand basic fundamentals. Just cut to the chase. Time is just as important in understanding gold. In addition to understanding the basic fundamentals of gold, we need know how time affects gold. More specifically, and to be technically correct, we need to understand what has happened to the US dollar over time (the past one hundred years). Lots of things have been used as money during five thousand years of recorded history. Only one has stood the test of time - GOLD. And its role as money was brought about by its practical and convenient use over time. Gold is original money. Paper currencies are substitutes for real money. The US dollar has lost 98 percent of its value (purchasing power) over the past century. That decline in value coincides time wise with the existence of the US Federal Reserve Bank (est. 1913) and is the direct result of Federal Reserve policy. Gold's price in US dollars is a direct reflection of the deterioration of the US dollar. Nothing more. Nothing less. Gold is stable. It is constant. And it is real money. Since gold is priced in US dollars and since the US dollar is in a state of perpetual decline, the US dollar price of gold will continue to rise over time. There are ongoing subjective, changing valuations of the US dollar from time-to-time and these changing valuations show up in the constantly fluctuating value of gold in US dollars. But in the end, what really matters is what you can buy with your dollars which, over time, is less and less. When gold is characterized as an investment, people buy it ('invest' in it) with expectations that it will "do something". But they are likely to be disappointed. In late 1990, there was a good deal of speculation regarding the potential effects on gold of the impending Gulf War. There were some spurts upward in price and the anxiety increased as the target date for 'action' grew near. Almost simultaneously with the onset of bombing by US forces, gold backed off sharply, giving up its formerly accumulated price gains and actually moving lower. Most observers describe this turnabout as somewhat of a surprise. They attribute it to the quick and decisive action of our forces and the results achieved. That is a convenient explanation but not necessarily an accurate one. What mattered most for gold was the war's impact on the value of the US dollar. Even a prolonged involvement would not necessarily have undermined the relative strength of the US dollar. 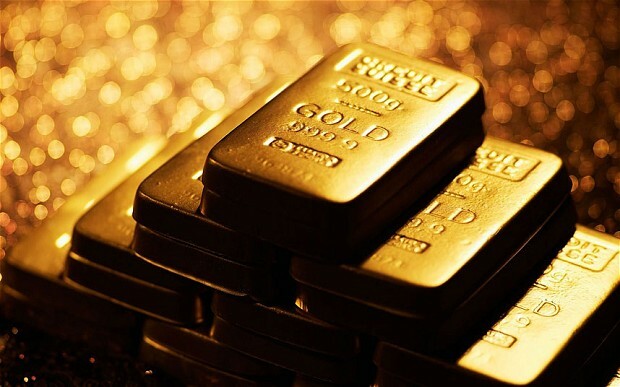 Gold's value is not determined by world events, political turmoil, or industrial demand. The only thing that you need to know in order to understand and appreciate gold for what it is, is to know and understand what is happening to the US dollar.